I think, making a tribute album for a legendary band like Pink Floyd, Yes, Genesis, Gentle Giant, Van der Graff Generator, Jethro Tull bear major risk. There are two options, indeed, for tributing any band: making it exactly the same as it sounded originally from the studio album of the band being tributed or making a new arrangement which sometimes is totally different from the original record. Good example of the first is Dream Theater tributing Dark Side of the Moon. A good example of the latter is Kevin Gilbert's rearrangement of Genesis' Back In New York City which appears in Genesis tribute compilation of Supper's Ready CD. This tribute by Mostly Autumn in Pink Floyd Revisited falls under the first category. In the cover of Echoes I can see the band has put their concerted efforts to emulate the original music and they succeed in doing so. The guitar part which I doubted that they can do it good, they prove they can make it. Also in the sound effects passages they succeed well. In simple words, I am really satisfied with the cover of this Echoes. But the band ventured into areas where, even Pink Floyd themselves, they are struggling to emulate at least on the souls and sound subtleties with songs like Comfortably Numb and Sheep. How can they dare to do it when the original band can not play it right? I have never heard Comfortably Numb being played nicely live by anyone, even by Roger Waters or Pink Floyd. The floating singing style at the beginning of the song could only happen once in a lifetime - it's during recording session of The Wall - that's it! It can't be repeated! So is the case with Sheep that I doubt any band can do it right. 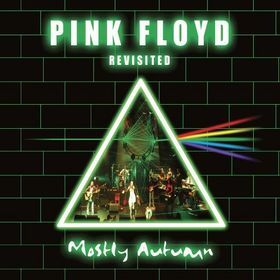 Having elaborated the above, I don't think I need to recommend you to have this album unless ...you are a great fan of Pink Floyd or Mostly Autumn. This is for collectors only. Keep on proggin' ..! !